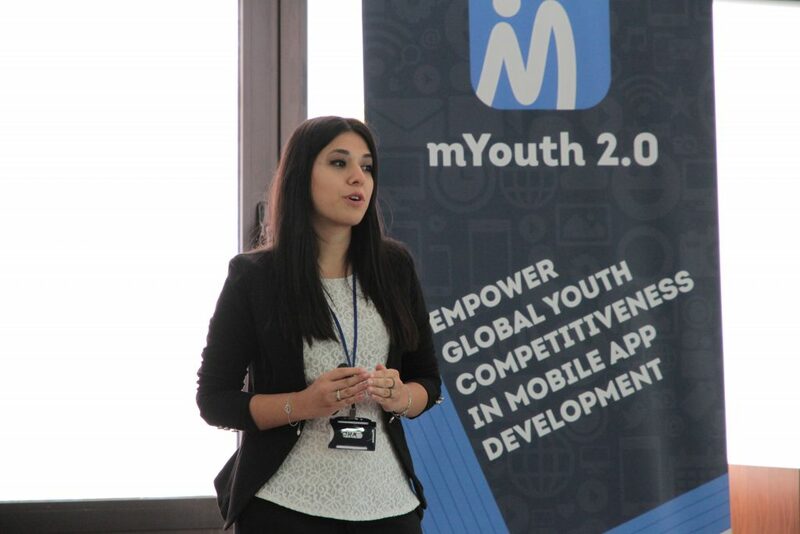 Young leaders, experts and mobile apps for better world! 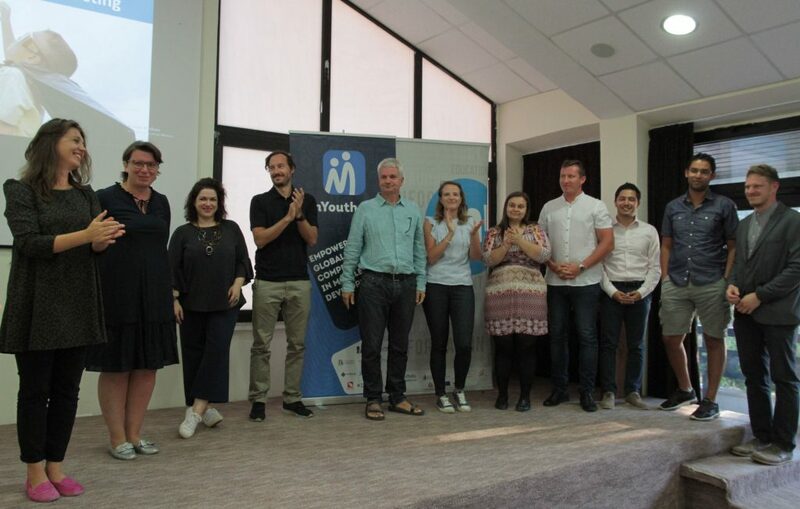 In the framework of the second edition of the mYouth project, Mladiinfo International organized the International Mobile App Camp-Business Development Training and Jury Meeting from 17-24th September in Ohrid, Macedonia. Both events welcomed more than 30 young people and professionals from Africa, Asia and Europe creating transnational initiatives and networks from three continents, Europe, Asia and Africa with the aim to promote the entrepreneurship education and teach youth about potential of mobile apps to become small business and start-ups. This intercontinental, intercultural experience and innovative approach to education is part of the mYouth 2.0 project, an activity aimed to advance the mobile learning of young people and empower them with new IT skills and knowledge. Using the new technologies and coding skills, these young people through their mobile apps address pertinent community issues, make positive impact and help to improve the lives of many. The journey to the mYouth 2.0 International Mobile App Camp was long (for some of them even literally travelling for few days to reach Macedonia), challenging and filled with excitement and thrill for every each and one of the twelve app campers coming to Macedonia. Firstly, they were among the four winners in their home countries and reserved their spot for the continental competitions in Ghana, Hong Kong and Salzburg. 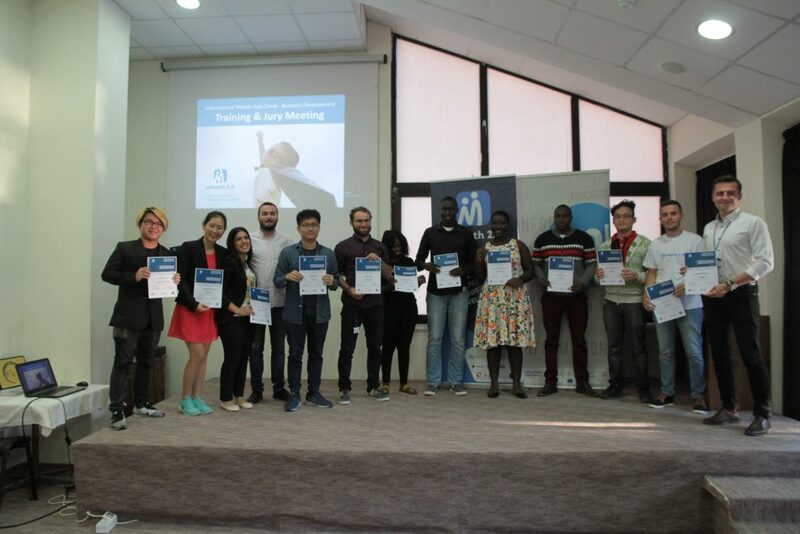 There, in highly competitive environment, their mobile app solutions managed to deserve the votes from the jury and become winners of the continental camps which offered them the opportunity to compete at the final, international mobile app camp and attend the business development training in Ohrid, Macedonia. Ahd Zlikha – Austria: mYouth provided me with one of the most inspired environment i’ve ever had, it was a healthy atmosphere to work with intercultural youth passionate entrepreneurs under an academic mentors and analysis activities. This experience rebuild my thoughts about how we as youth have the power that could really make changes in the world to become a better place. You need motivation, inspiration and mentorship? So this is the right place where you can start with! The international mobile app camp-business development training as the main event of the mYouth 2.0 gathered the continental winners from Ghana, Kenya, Tanzania, Hong Kong, Vietnam, Singapore, Philippines, Macedonia, Romania, Poland and Austria, They had the chance to learn more about how to develop their mobile app business plan and how to create a communication, market, sales and revenue strategies. This time, the focus was given to the entrepreneurship perspective in order to complement their understanding and experience gained on the national and continental mYouth 2.0 camps and to open up their horizons for ideas and strategies for creation of small business and start-ups. Alice Mamaga Akosua Amoako – Ghana: As a Digital Social Entrepreneur, my tool of change for social impact is technology and being part of the mYouth 2.0 was an incredible experience for my profession and personal growth. I had training in modern business model canvas for my Autism Aid App Project and was also trained in various marketing strategies that can help me reach my target group as a mobile app business. I also had the opportunity to meet 12 professionals from across different countries and different professions who helped to revise the User design, System Development and Communications Strategies of my Autism Aid App. 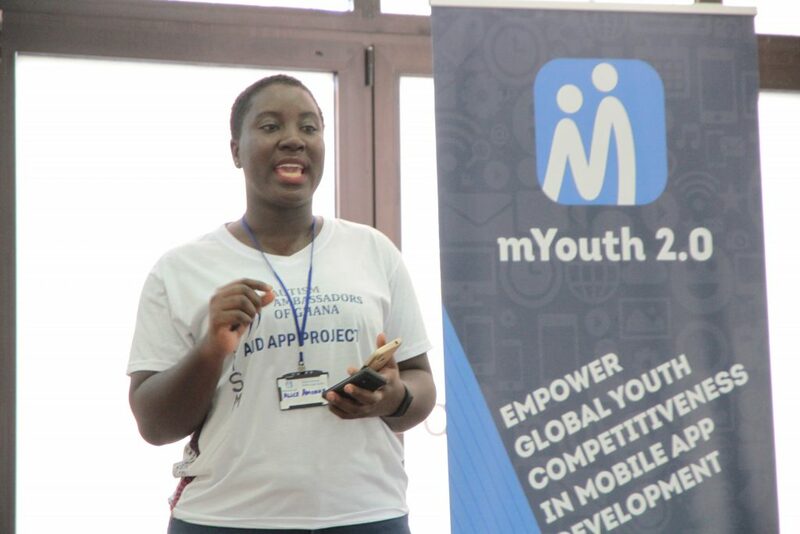 mYouth 2.0 has been the best mobile app camp experience for me ever and i look forward to use the skills acquired to enhance my work and also share the knowledge with other Digital Change Leaders in Ghana and Africa. In parallel to the camp, the mYouth 2.0 Jury meeting was held, gathering 16 professionals from and experts from Europe working in the field of IT, Business, Marketing, Communication and Design. Their role was not only to select the best apps and 3 winners, but also through interactive sessions, workshops, educational camps and exercises, to offer diversified expertise and assistance to all participants and help them to further develop their apps and business models. 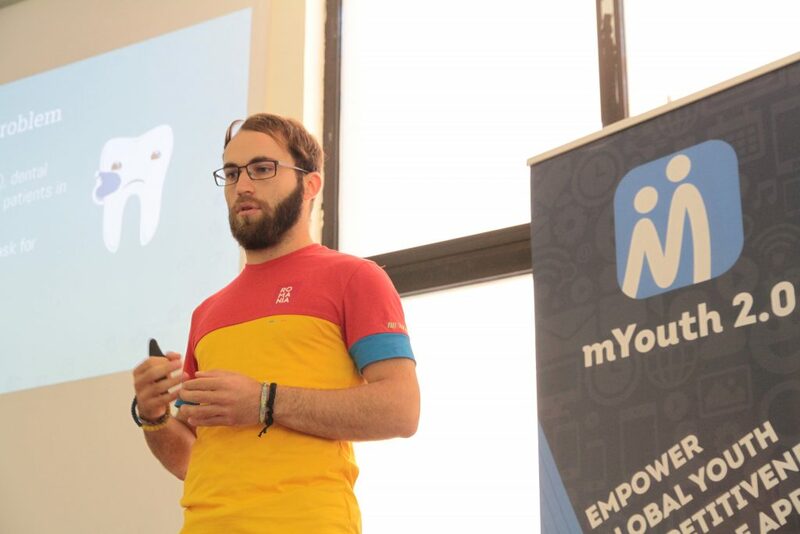 Ștefan Blaga – Romania: mYouth 2.0 is an experience that will definitely open your new ways of thinking, new opportunities and you will make new friends. The business courses are so up to date, with useful information and peer to peer sharing. The jury is willing to give you a real examples useful for your further development of your application. Umix from Hong Kong – an app lowering the learning barriers by providing innovative technical solutions for music creation as well as a knowledge-exchange platform to create a community for sharing and learning. Mtabe from Tanzania – an app that provides instant, curriculum-aligned answers to secondary school students to those who don`t have internet or smartphones. Studentist from Romania – an app that connects students in the process of becoming dentistsand people who want to get medical treatment but cannot really afford it. These winners will have the chance to attend the Gala event at the European Youth Awards in Graz, Austria. They will compete in the special EYA mYouth category and get an amazing chance to present their mobile application in front of vibrant audience, experts, innovators and investors. Mladiinfo International as leading organization of the mYouth 2.0 project it is truly happy and grateful to host such a diverse young intellectuals, leaders, professionals and experts and to be able to learn, share experiences and practices with such an amazing group of people. As one of the most inspiring and valuable experiences, this event served us as another acknowledgement and motivation to continue our mission and belief that young peoples` ideas and dedication can make the world a better place. BIG THANK YOU to all participants and jurors! Looking forward to our next cooperation.